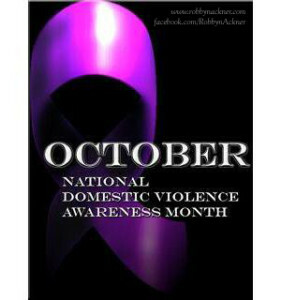 National domestic violence awareness month occurs (with other events) in October. October makes us recognize many things, including that domestic violence knows no boundaries. It crosses all social and economic lines, from rich to poor. It can poison any relationship from heterosexual to gay, bisexual and lesbian. It crosses all genders, men, women and transgender. It crosses all races and religions, Caucasian, African-American, Asian, Muslim, Christian, Jewish and more. Your next-door neighbor, your friend, your coworker, your distant relative, could all be Domestic Violence victims. It could be that girl that is so friendly and outgoing at the grocery store. It could be that dedicated worker, nose to the grindstone. It could be that person who is so involved with their local community. It could be you. Many believe that because they haven’t been hit, they are not in a domestic violence relationship, however, domestic violence is not always physical. DV can be emotional, mental, financial just to name a few. A few years ago, while being blessed with a wonderful opportunity to speak at a Women of the Western communities event, I learned of an unusual and urgent need for Domestic Violence (DV) victims. Suzanne Turner, the YWCA’s CEO attended the event. The YWCA operates our local DV shelter, Harmony House. 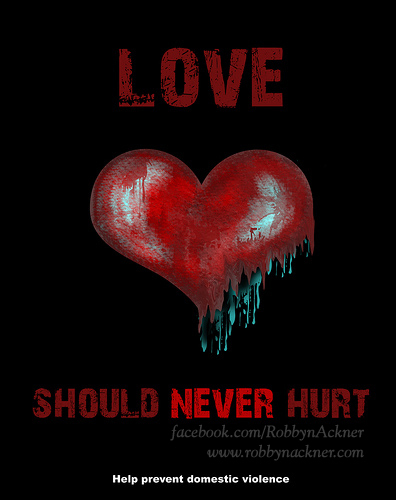 As a DV survivor with a long history, I expressed my desire to donate to the DV victims. Suzanne shared one of the facility’s most unfulfilled needs; that the women and children at our local DV shelter suffer desperately from need of clean underwear, because Harmony House can’t legally accept used undies. All underwear must be “new in package”. Of all the travails I suffered in escaping my own Domestic Violence relationship, clean underwear was the farthest from my mind. But I found out that these women in the shelter are washing underwear in the sinks of the DV shelter every night, so that they and their children will have clean underwear for the next day. My “annual underwear collection/drive” was born that night, and it’s already made a difference. Will you help me please? Will you imagine yourself in the situation of a victim who, by no fault other than being trusting, loving and wanting something better, encounters a relationship with an abusive partner. Will you help me, to help the children who likely are similarly abused and don’t quite understand what is going on yet, but just know that they are no longer living at home and their parent cries a lot. Will you help me please, to make a real and tangible difference in a DV victim family’s life, that ma y seem a small one, but carries an impact so HUGE you cannot even imagine? Please click any of these links to buy new, packaged undies for DV victims, parents and children alike. All sizes and ages are needed. Women’s Underwear or Girls Underwear and Boys Underwear. A few dollars can send 5 or 10 pairs of underwear to this effort. Or buy new underwear however you like, but ship them to Robbyn Ackner, Healthy Mind Healthy Body, 125 S. State Rd. 7, 104–244, Wellington, Florida, 33414. If you live locally, send me an email or connect with me on Facebook, and we can make arrangements to share a cup of coffee and I can pick them up from you directly. For a tax receipt, downloaded it HERE and email me at theoffice@robbynackner.com. For more information on the drive, feel free to reach out to me and I’ll answer whatever questions you may have. Please do this now, or as soon as you possibly can. Can you put yourself in a DV victim’s predicament for just a moment, and wonder how you are going to send your children to school, with a clean pair of underwear? Please consider sending a sealed package of underwear, during this last quarter of 2015, for our “annual underwear drive”. Help make a difference in the lives of DV victims seeking to save their family, women who found the courage and strength to seek refuge from a toxic and abusive relationship. Few Domestic Violence victims succeed in leaving at first attempt (the statistical average is 7 attempts), many victims return and suffer even worse abuse for lack of an adequate support system, and believe they absolutely need support (and food for their family) from the abuser. Harmony House gives Domestic Violence victims support, assistance with housing, even life and job skills. Domestic Violence victims should not have to worry about clean underwear, and these women should not have to scrub underwear in sinks to avoid domestic violence and abuse. Thank you for your support, Please click the links. Do so now, it takes just a few minutes of your time. If you wish to send a cash donation, please send it directly to the YWCA, please use my name as a reference and direct your donation to go to Harmony House. Contact me for further details on how to do that. As a former victim, now a survivor, and on behalf of the Domestic Violence victims and children who struggle every year, thousands of them in Palm Beach County alone, I am very grateful for your support.